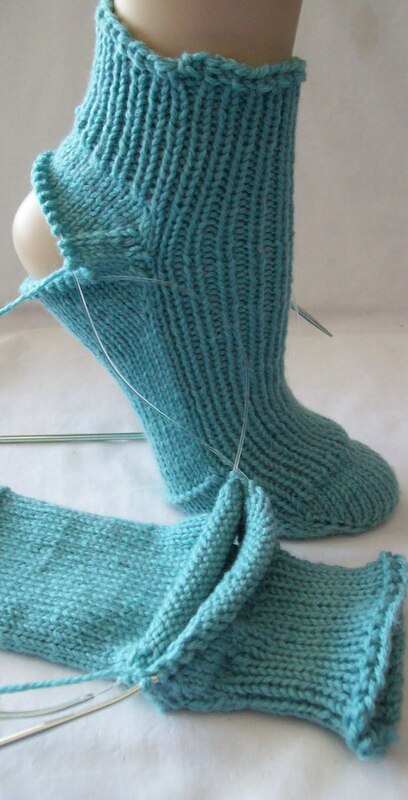 Of being a completed pair of Bed socks. --and they still need the anti slip treds (to go between the rows of garter stitching on ball of the foot. The socks will be the key piece to a 5 part foot care package-- Spa Salts for a foot soak, Exfoliationg cleanser, Shea Butter soother, and a Callus file—and the matching socks –and sill to come, a small matching tote bag or case for the set. Everything co-ordinated and pretty. And there is a plan for an Esty Shop for some of the crafts items; so if you like hand knit easy care (machine washable) bed socks, and love a foot care package (every thing but the toe nail polish!) this set, when finished, could be yours. Pamper your self, and do good work at the same time! Yesterday I finally got all the ROY G BIV yarns rewound into 2 balls per skein, I am not going to divide the grey that is being used as a nuetral between the colors. I have a few skeins of grey, and I won't mind have 2 about equal partial balls. I've decide on a stitch pattern –I am still working out the math—I might even do a gauge swatch! --to make sure I get it right. A blend of rain drops and rainbows—They will be cast on and started this evening—since I am about to go to work finishing the bed socks—which are fast work and getting faster as I decrease every other round! 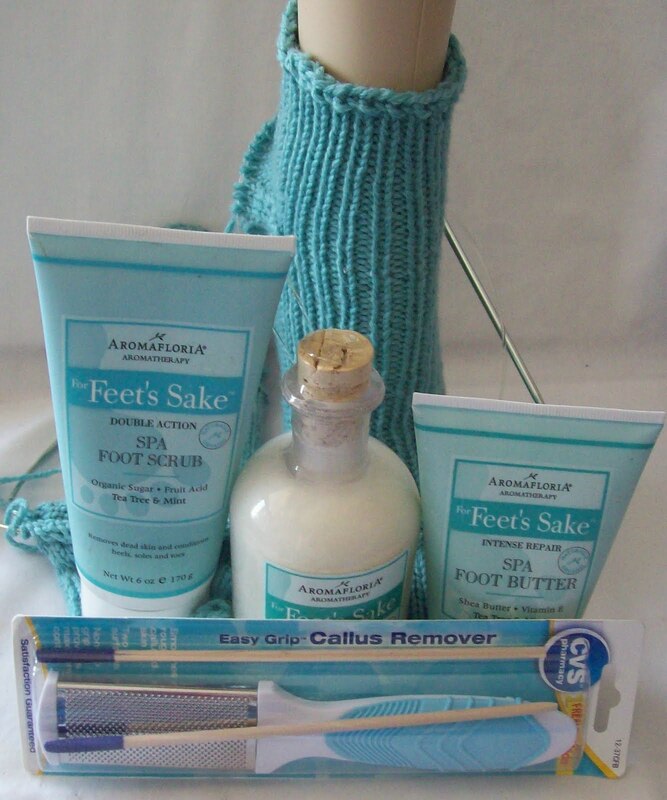 That foot care package is such a great idea!